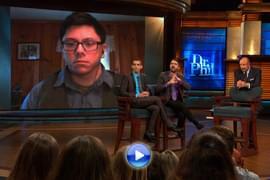 Dr. Phil taps into the spiritual world with help from the next generation of psychic mediums, Thomas John and Bill Philipps. When did they first realize they had psychic abilities? And, what messages will they have for guests, viewers, audience members and Dr. Phil staff? Then, recovering addict Kathie says her daughter, Whitney, refuses to forgive her for her past mistakes, and she wants to make amends. Whitney says her mother abandoned the family after Kathie’s mother passed away in 2002, leaving Whitney to fight for — and win — custody of her younger sister. 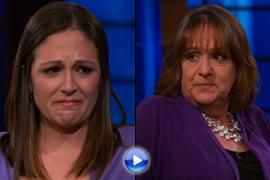 Emotions run high when Kathie and Whitney face each other for the first time in two years on Dr. Phil’s stage. How does Kathie explain her past decisions? And, the women sit down for private readings with Thomas and Bill — what message does Kathie’s mother have from the other side? Can Whitney and Kathie repair their fractured bond? Plus, numerologist Glynis McCants runs the numbers on some of Hollywood’s hottest celebrities. And, Glynis and Thomas visit soon-to-be newlyweds — are they spiritually compatible? Kathie admits she has struggled with addiction but says she is nearly five years sober — and she’s hoping to make amends with her daughter, Whitney, whom she hasn’t seen in nearly two years. Whitney says her relationship with her mother “got really bad” after Kathie’s mother passed away in 2002. “My grandmother was the light of my life,” she says. “I called her Oma, which is Grandmother in German.” She says Kathie and Oma were not on speaking terms at the time. Whitney says she felt abandoned when Kathie “completely checked out” and moved to Las Vegas following Oma’s death. She says her younger sister, who was living with Kathie, called her multiple times with concerns about their mother’s drinking. “I was scared for my sister’s safety,” she says, adding that she fought for — and eventually won — custody of her sister. “I could tell that she was being neglected,” she claims. Whitney says her mother sent her “nasty” and “harassing” text messages, all hours of the night, so she eventually filed a restraining order against her — which she says her mother violated 58 times. Did Kathie sell a family heirloom, to spite Whitney? “I’ll buy her another one,” Kathie says of the statue. “I violated you, and I insulted you; and I apologize,” Kathie tells Whitney. Whitney and Kathie receive separate readings from Thomas and Bill, who were not provided any background information. Will Kathie’s mother have a message for them? Dr. Phil offers to provide professional help to Whitney and Kathie for fixing their fractured bond, and they both accept. A Dr. Phil staffer, Segment Producer Jesse Green — who admits he’s a healthy skeptic — receives a reading from Thomas. Will he become a believer? Will Jesse remain a skeptic after his reading? Dr. Phil opens up the readings to the audience, and Thomas picks up on a “George,” who happens to be watching the show from home, via Polycom. What message does George’s loved one have for him? See what message Glynis and Thomas have for engaged couple Jesse and Lauren and their bridal party. Is the future bright for these soon-to-be newlyweds? Glynis explains what the numbers tell her about Miley Cyrus, as noted in her book, Love by the Numbers, written in 2009. Coincidentally, Miley’s father, Billy Ray Cyrus, seems to confirm the projection during an appearance on The Talk.